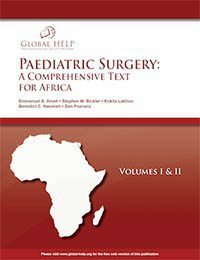 Produced by Global HELP, professional editors, and more than one-hundred-and-fifty medical experts from around the world, this is an essential resource for those in Africa where there has been a lack of appropriate and affordable medical material. This is a book written by doctors who live or work in Africa and for African surgeons and patients alike. The full list of chapters are listed below, but can also be navigated by topics.